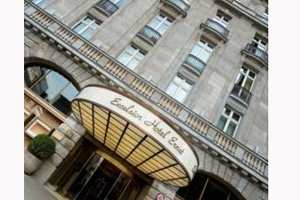 Mandarin Oriental London's assistant director of sales Stefan Mueller has moved to the Excelsior Hotel Ernst in Cologne. Mueller has been appointed as sales director at the five-star Excelsior Hotel Ernst after 11 years working for the Mandarin Oriental Hotel Group. Following posts at the Grand Hotel Rocco Forte in Nürnberg and Hotel Königshof in Munich, Mueller joined the Mandarin Oriental in Munich in 1999. He joined Mandarin Oriental London in 2007 as corporate senior sales manager. Mueller’s final position at Mandarin Oriental was assistant director of sales in which he was responsible for the business development for Germany, Spain, Italy, France and Japan. He also worked as account manager for the corporate business. Excelsior Hotel Ernst managing director Wilhelm Luxem said: "We are delighted to welcome Stefan Mueller at the helm of our sales team and I look forward to working very closely with him to grow our market position to its full potential."